Our cat Sadie has been prescribed a hypoallergenic food that contains, of all things, venison. This actually has a connection to this week’s Torah portion, Toldot, as you’ll see. Also, since Sunday is Rosh Hodesh Kislev (first day of the month of Kislev), a special haftarah involving a new moon is read, I Samuel 20:18 – 20:42. Jonathan and David communicate using flights of arrows, which also have a tie-in to Toldot. The colors will show you the tie-ins. Toldot, like most of Genesis, is essentially about family dynamics, pretty much a “How Not to Parent” manual. Even the apparently chronologically out of order story in Ch. 26, about Isaac, Rebecca, famine, Abimelech, and wells, reflects family dynamics. Isaac’s experiences with Abimelech recall his father’s. Isaac and Rebecca are fleeing a famine. Isaac passes off Rebecca as his sister to protect himself (this time Abimelech figures out the truth when he sees Isaac “playing with” (mitzachek) Rebecca in a clearly spousal manner) and he re-digs the stopped-up wells of Abraham. But it’s not necessarily abnormal to model your father’s exploits, except the bit about endangering your wife, of course. The root of the family fracture might be found in Ch. 25:20-27. Rebecca does not have children for the first 20 years of their marriage; only when Isaac finally entreats the Lord on her behalf does she conceive. Yet only Rebecca is told that she will have twins, that their in-utero antics are the beginning of ongoing conflict, and that the elder will serve the younger. And either Rebecca does not tell Isaac this crucial message, or he does not listen. 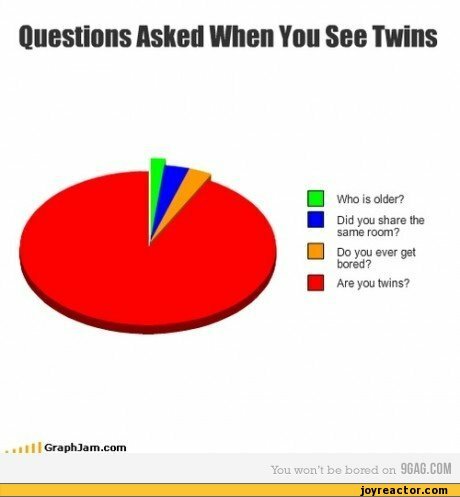 When the twins are born, their appearance and temperaments are very different. It is not surprising that Rebecca favors Jacob, the younger twin who resembles at least in temperament: quiet, clever, opportunistic. Isaac appreciates Esau’s physicality and filial love, and is blind to Esau’s shortcomings, like his total unsuitability to be the spiritual head of the family. Maybe Esau sees that too, whence his casual trade of birthright for Jacob’s stew; the birthright involved priestly duties for the family, more suited to Jacob. Matters come to a head when Isaac decides to give Esau the blessing that will make him his heir as head of the family. He sends out Esau to hunt some fresh game (often translated as venison) with sword and bow and arrows to make a tasty stew before the blessing. He doesn’t tell Rebecca of this momentous event, but she overhears. She convinces Jacob to deceive Isaac, pretend to be Esau, and get the blessing. She never says why. Had she told him of the elder-serving-the-younger prophecy? Or does he agree to cover his arms with animal skins and pass as his hirsute brother because he just wants the blessing? In any event, the ruse works. Isaac thinks Rebecca’s goat stew is venison and, though somewhat suspicious (“the voice is the voice of Jacob, but the hands are the hands of Esau,” 27:22), he gives Jacob the coveted blessing. Esau returns and is enraged by this betrayal. Isaac gives him a secondary blessing, but Esau vows to kill Jacob once Isaac is dead. Rebecca sends Jacob to her brother Laban in Haran, ostensibly to find a nice monotheistic girl to marry, but in reality to save his life, not knowing she will never see him again. Isaac acquiesces. Next time: what goes around comes around. 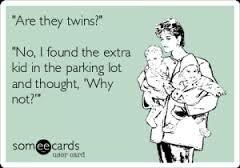 I always thought I was going to have just one kid because if you have more than one, then you’ve got to decide which one you like better. That’s always mean. It’s true. Parents always lie about it. ‘Oh, we like you all the same.’ No, you don’t. You love them all, of course, but there’s always that one kid — if he got lost — I mean, you’ll look for him, but not right away. This entry was posted in Uncategorized and tagged birthright, Esau, Isaac, Jacob, parental favoritism, Rebecca, sibling rivalry, twins. Bookmark the permalink. First cousins are OK. Actually, my great-aunt married her first cousin. This was illegal in PA, so they got married in NJ. This was about 1913. So, if we all started getting serious with our first cousins it wouldn’t mess up the gene pool. Or are you saying that if it happens as an exception it’s no big deal. Looks like it’s going to be a google nite. I’m just saying it’s not against Jewish law. How advisable it is genetically is a different issue. It seems that it really isn’t much of an issue at all. Up until about 100 years ago it was much more common. The math gets a little crazy with the number of firsts in the bloodline and how close they are. Chances are, (I just read this stuff. I don’t verify) that we are within 50 cousins of each other. On my second read of this weeks Torah portion. Lots of action!